We’re big Disney fans (be sure to stay tuned for details of the Disney Social Media Moms Celebration). 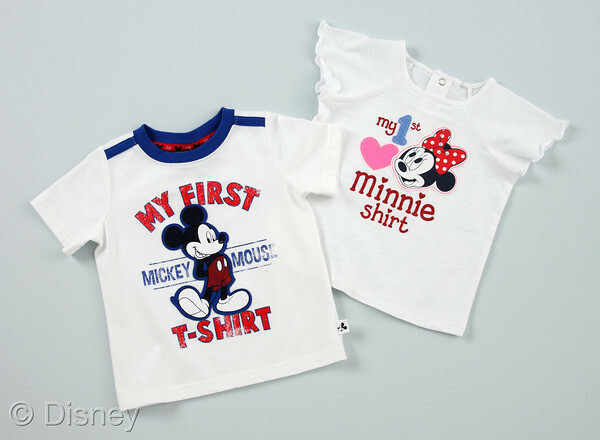 But as much as we love Mickey, my kids don’t typically wear commercial clothing so I was unsure what my son would think about Kohl’s Department Store’s new Disney-branded apparel collection for kids under the Jumping Beans brand. My description of having our own little “fashion show” didn’t sit well with him either because as it turns out, most little boys aren’t into the runway scene. #WhoKnew? I was actually excited when we saw this new collection at Kohl’s. The girl’s line was darling, feminine and fun with playful red, white and blue prints. The boy’s collection? It was right up the alley for a cool 7-year-old dude. All the clothes followed the same color pattern so were interchangable, they weren’t “cheesy” (his words, not mine) and if you have a sports-lover, there is plenty to love. 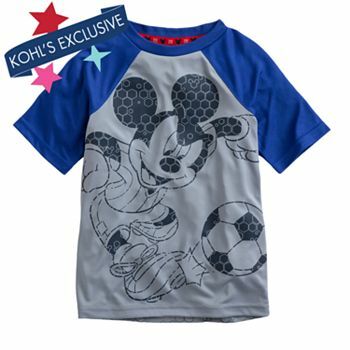 My son liked the soccer-playing Mickey Mouse graphic available in red/gray/blue but we loved the Mickey Mouse Soccer Raglan Tee most of all. Made of polyester, it is the perfect shirt for his soccer practice! 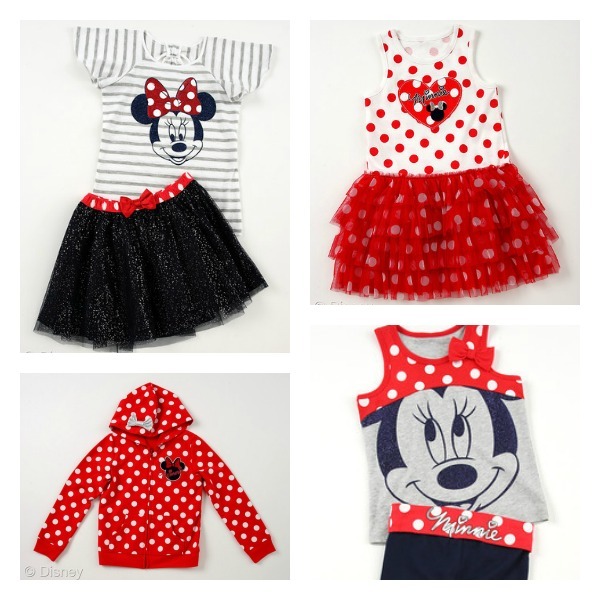 The Disney-branded apparel featuring Disney’s iconic characters Mickey Mouse and Minnie Mouse is available for infants (12-24 months), toddlers (2T-4T), boys (4-7) and girls (4-7). 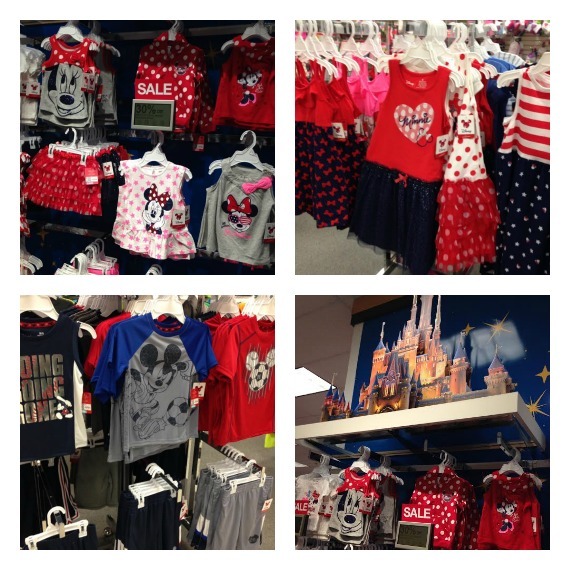 All items retail for under $35, a great value for moms that love the spirit of Disney and practicality of Jumping Beans. 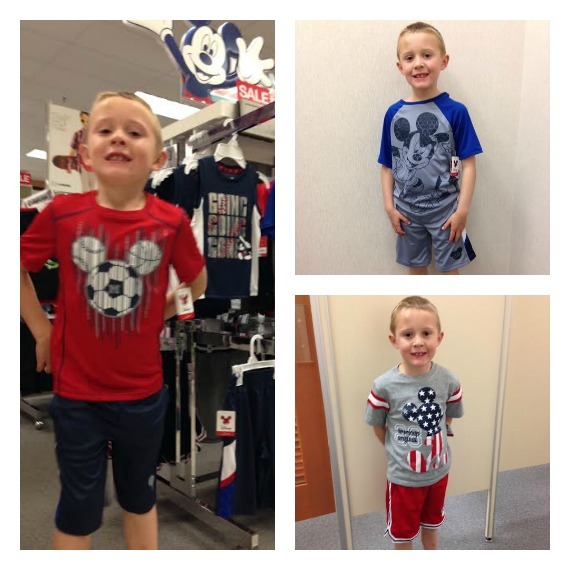 Though my son claimed to like several of the Mickey tees and matching Disney Mickey Mouse Mesh Shorts by Jumping Beans, each time he would come out to model a new outfit he was in tears. I ignored the drama until he came out with his very last outfit. Note to self: Do not get too overzealous about the new Disney Apparel By Jumping Beans Capsule Collection at Kohl’s that your model has a bathroom-induced meltdown. I was given a $50 gift card to check-out the new Disney Apparel By Jumping Beans Capsule Collection at Kohl’s and we’re giving you the opportunity to win your own $50 gift card from Kohl’s. Contest deadline is April 28, 2014.